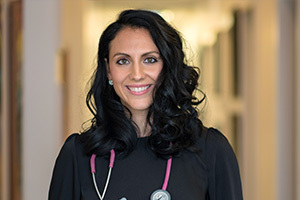 Dr. Allana Polo is a certified Naturopathic Physician and wellness advocate whose work in developing signature weight loss programs has transformed the lives of thousands of patients. Owner of Polo Health + Longevity Centre, an integrated health clinic in New Westminster,British Columbia, Dr. Polo is a sought-after expert in healthy weight loss, nutrition, hormone imbalance and the effects of stress on the body, in particular the connection between stress and weight gain. She has been a featured expert for numerous news outlets including Global Television BC, CTV Morning, Breakfast Television (Vancouver) and CKNW’s The Jill Bennett Show. Her writing has appeared in Mind Body Green, Alive, The Huffington Post and Green Med Info. She is also a sought-after speaker, sharing her wealth of knowledge on stages at medical conferences and seminars. Patients from all over the Lower Mainland, British Columbia seek the advice and support of Dr. polo as they face the difficult challenge of losing pounds and maintaining a healthy body weight; for many her signature program is a last attempt to find their wellness again. Dr. Allana Polo has a great passion for Naturopathic Medicine and truly believes that we all have the ability to heal and achieve balance in our lives. By identifying the root cause of illness, each treatment plan is customized and tailored to meet each individual patient's needs, based on their health goals and place in their own healing journey. Her goal is to empower, inspire and motivate her patients to achieve their highest level of wellness. Dr. Polo received her undergraduate training from the University of Alberta, majoring in biological sciences with a minor in psychology. She then received her Doctorate of Naturopathic Medicine from the Canadian College of Naturopathic Medicine in Toronto, Ontario. Dr. Polo spent 6 weeks travelling in India, working at clinical rotation sites and volunteering at a variety of medical hospitals and naturopathic facilities. This allowed her the opportunity to learn about the traditional and indigenous systems of medicine in India. In addition to learning about traditional medicine, she was able to observe how these practices interact with Western methods and gain an understanding of the importance of cross-cultural competency in diagnosing patients who may be receiving a combination of modern and traditional treatments. Clinical immersion was supplemented with daily yoga classes, lectures and workshops on traditional medicine. This experience provided her the opportunity to learn more about health issues that transcend borders, class, ethnicity, and cultural divisions. In 2003, Dr. Polo received her first degree black belt in Karate, after 13 years of dedicated and disciplined training. The strength and determination, as well as the mind-body connection this art facilitates, is something she will always bring forth to her patients and clinical practice. Dr. Polo is a registrant of the College of Naturopathic Physicians of British Columbia and a member of the British Columbia Naturopathic Association (BCNA), The Canadian Association of Naturopathic Doctors(CAND), and the International Association. "Healing is an integral part of one's life journey and is a process that lasts a lifetime. Prevention is key in modern society, and knowing I can help people and bring empowerment to them, while enabling them to engage in a healthy balanced life is the most rewarding and fulfilling part of being a naturopathic doctor. My true role as a practitioner is to teach someone to heal themselves, and to provide guidance on their journey to health and wellness, in any way which they desire. Along with that, it is my duty to help patients discover themselves, to help them identify their deeper problems so that they can become more developed, balanced, and ultimately survive harmoniously in accordance with the universe. I am able to provide encouragement, education, motivation and hopefully inspiration to each and every patient that walks through my door to take control of their health, to live the most fulfilled and optimal existence possible."